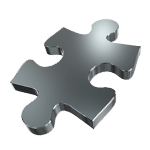 At Puzzle Palace Australia we get so much pleasure out of what we do simply because our aim is to bring Happiness and Enjoyment to all of our Fellow Jigsaw Puzzlers. Our Mission is to make sure you are completely delighted with your Purchase. We want you to have Peace of Mind when Ordering and to be completely satisfied with your purchase. We believe in successful customer relations, so please contact us and describe the issue. We are here to help. We can only accept unopened (this means with the plastic wrapping intact) and undamaged returns. We cannot provide a refund for the product if it is damaged in transit when you return the product back to us. We suggest you package the items being returned securely and send your returned parcel so that it can be traced. We are unable to refund items that are lost in the mail. You are responsible for all return freight charges for change of mind purchases. Shipping and Handling Charges are unfortunately NON refundable. In the very unusual case of a defective product, please contact us in the first instance.